I had reserved a one-bedroom suite for our stay and we were given an option at check-in to keep that or their two-bedroom suite since it was also available. I liked the one-bedroom because it was more modern looking and hubs liked the two-bedroom because it was cozier in his opinion. Needless to say, we chose the modern one-bedroom. Downstairs of the suite consisted of the living room, kitchen and dining area suitable for up to 6 people. There was also a half-bath and huge windows that allowed natural light to pour in. Oh, and I found two yoga mats in the closet which inspired me to stretch in the mornings. Second floor had master suite that included a king size bed and a sitting area. 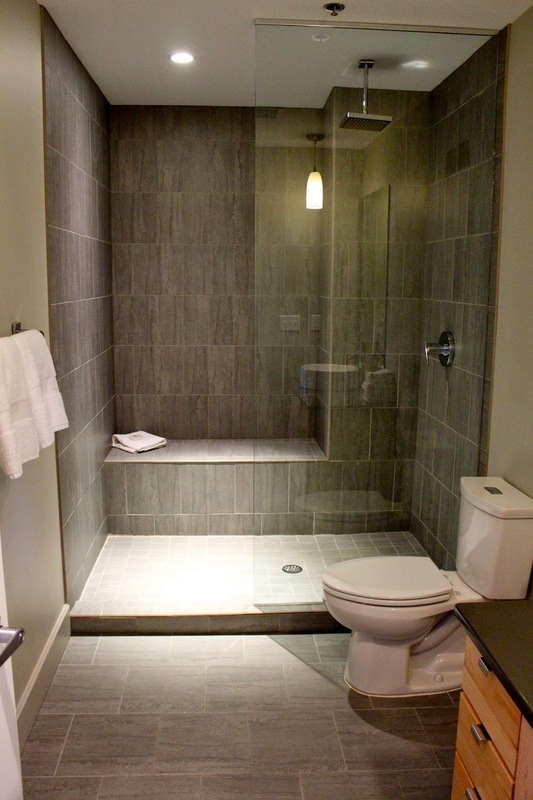 I especially loved the sleek bathroom with rainfall shower. Their Green Earth bamboo towels were super soft! In addition to the green design of Ledges Hotel their bath products are made from all natural and organic ingredients.